Education Loan scheme for Non Vocational Courses includes General offer, Education loan for students studying in Premier Education Institutes and Education Loan for courses offered by ICAI, ICWAI & ICSI. Education Loan for Non Vocational Courses are granted to Students who are Indian Nationals. Having secured admission to a higher education course in recognized institutions in India or Abroad through Entrance Test /Merit Based selection process after completion of HSC (10 plus 2 or equivalent). Approved courses leading to graduate/post graduate degree and PG diplomas conducted by recognized colleges/ universities recognized by UGC / Govt. / AICTE /AIBMS / ICMR, etc. Other job oriented courses leading to technical/professional degrees, post graduate degrees/diplomas offered by recognized institutions. Technical Diploma courses (generally 3 years) offered by approved polytechnic institutions after completion of 10th standard. In case part of the courses is in India, and part abroad, the authenticity of domestic course and institution will be considered. Post graduation: MCA, MBA, MS, etc. Approved Post Graduate Diploma courses are also eligible. Regular Degree/diploma courses like Aeronautical, pilot training, shipping, etc. provided these are recognised by competent regulatory bodies in India/abroad for the purpose of employment in India /abroad. Note: In case of Executive programs in India and Abroad maximum finance should not exceed Rs. 20 Lakh. Above Rs. 7.5 lakh : Parent(s) to be joint borrower(s). Tangible collateral security, along with the assignment of future income of the student for payment of installments. a. In the form of immovable property in the name of student/ parent/ guardian/ Co-applicant(s) which should have value of 1.33 times the amount of loan sought. Such security should not be an open plot or agricultural land engaged in cultivation activities. b. Any Fixed Income Security viz. Govt. securities/ Public Sector Bonds, NSC, KVP, LIC policy, debentures, Fixed Deposits with IDBI bank, etc. having fixed returns/ surrender value in the name of student/ parent/ guardian/ Co-applicants). The minimum value of such security shall be 1.1 times of the loan sought after considering the margin requirement applicable for the loan against respective security instrument. Repayment tenor: Repayment of the loan will be in equated monthly installments for a period of up to 15 years after completion of the moratorium period. 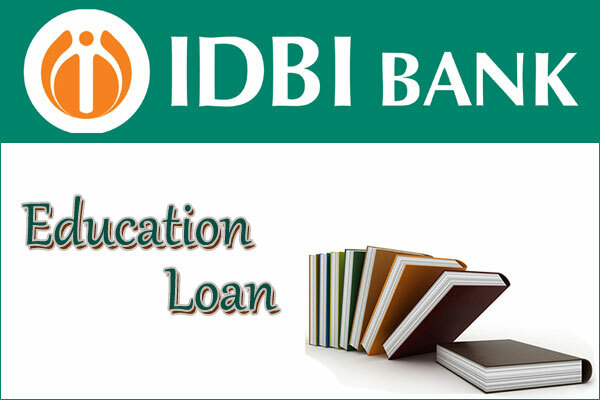 IDBI Premier Education Institutes Loans are granted to students who are Indian nationals and are studying in premier educational institutes like IIMs & ISB (Full time executive and regular programs only), IITs (full time engineering and management courses only) and, Top Medical Institutes, Indian Institute of Foreign Trade (IIFT), Top Management Colleges. Caution deposit, Building fund / refundable deposit supported by Institution bills/receipts. Co-applicant is mandatory in each case, irrespective of loan amount. No security for loans up to Rs. 30 lakhs for students who have secured admission to Indian School of Business (ISB)-Hyderabad and Mohali Campus and the following Indian Institutes of Management (IIMs): Ahmedabad, Bangalore, Kolkata, Kozhikode, Indore and Lucknow provided the loan applicant provides satisfying net worth/ means of the parent who is the joint borrower. Repayment tenor: Repayment of the loan will be in equated monthly installments for a period of up to 15 years after completion of moratorium period. Private Coaching fees will not be covered under the said EL. Purchase of Computers/ Laptop/ tablet, essential for completion of the course, will be allowed only after passing CPT. The loan amount for computer/ laptop not to exceed Rs. 40,000/-. Loan Amount for books, conveyance, etc. should be maximum up to total course registration fee. No finance for private tuitions. However, expenditure on Live Virtual Classes supported by institution bills/ receipts and cost of tuitions conducted by ICAI would be allowed. Charges paid to hostel/PG charges to be restricted to maximum up to total course registration fee.